● Useful in unexpected emergency situations. 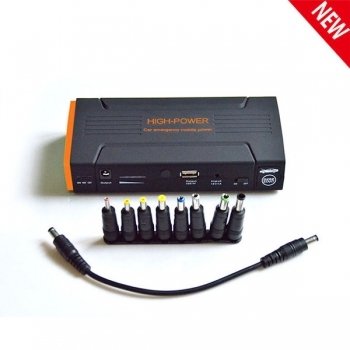 ● Able to jumpstart 12V vehicles: 20 times. ● Able to charge mobile phones: 6-8 times. ● Charging time for laptops or ipads: 2 hours. ● Able to charge cameras and other handy electrical appliances. ● Multi-function LED light: Torch/SOS/Strobe.